Laul was stricken with a waterborne illness known as typhoid fever. Aching pains, high fever and poor appetite had overtaken his frail body. No matter how many doctors he visited or how many treatments the father of five underwent, there was still nothing that brought him back to good health. Laul's days plodded by as his illness stole away his livelihood and plunged his family into poverty. But Laul was not alone. Typhoid fever remains, to this day, a worldwide threat affecting an estimated 26 million people each year. The culprit to this disease often lies in water. In fact, it seemed nearly everyone in Laul's community was in some way affected by the water problems their area and surrounding villages faced. With the contaminated water came bacteria, and the bad bacteria caused sicknesses like malaria, jaundice, typhoid and dysentery. people worldwide suffer from lack of pure water. Sadly, Laul and his neighbors were not the only ones dealing with this crisis. Around 663 million people worldwide suffer from lack of pure water. Laul was just one man with one story among masses of others. Like many other open village wells around the world, dirt and waste would fill Laul's community well during the rainy season, and in the summertime, the heat would dry up the liquid source. It was a battle. A battle fought with seemingly endless sacrifices offered to their gods and many pleas for help from those who could assist them. But they didn't seem to experience any relief. It looked as if they may never win the battle for clean, disease-free water. Laul and his village had an open well, much like this one. The sickness they faced from the unprotected water was a constant crisis for their community. GFA-supported pastor Kirk was not blind to the needs of those around him. For nine years, he and other believers prayed God would provide a resolution to the impure-water emergency that perpetually engulfed society. This is Pastor Kirk and his family. They serve the Lord together in villages that are in desperate need of God's love. Pastor Kirk would visit Laul's village and share the hope he held inside his heart. He knew Jesus would answer the prayers and pleas of the needy people around him. But Laul never listened—he wouldn't even talk to Pastor Kirk. Although Laul had some knowledge of Christ, love had not yet bloomed in his heart. Deep pride made him refuse to accept any other church beside the one he attended. He did not want Pastor Kirk's prayers or anyone else's, even though his health was deteriorating. Instead of prayer, Laul tried treatment after treatment, selling all he had to fight the typhoid virus that was destroying his body, but nothing healed him. During this time in Laul's life, news buzzed in his village. 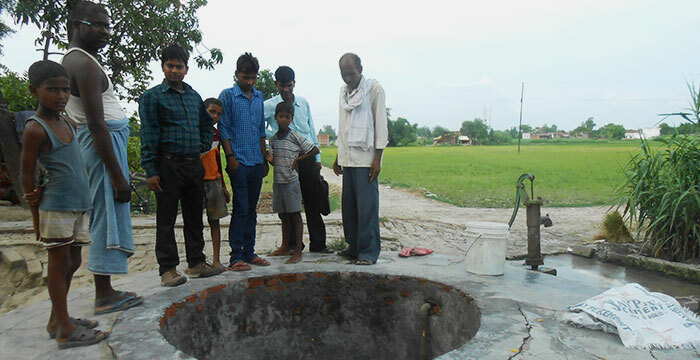 A brand new Jesus Well had been installed in the village nearby, where Pastor Kirk lived. Then Laul's community heard that a well of their own was going to be installed in their village too! Hope for clean water began to uproot years of discouragement that had overtaken their hearts. The joyous day came when GFA-supported workers hired a local contractor to install a Jesus well in Laul's village. The villagers were so excited as they watched the skilled laborers use simple equipment to drill the well. The laborers dug about 650 feet down into the earth to ensure water would be available even during the driest seasons. Next came the heavy-duty handpump and then the plaque with John 4:13–14 inscribed on its stone, letting all the villagers know this well was given in the name of Jesus! Their long awaited hopes were not disappointed as they witnessed their desperate need for clean water fulfilled that day. Like many other villages that receive Jesus Wells, this community was blessed knowing it would be there for generations. Each Jesus Well is under the local GFA-supported pastor's care. Believers also take ownership of the well by keeping up with any maintenance and making sure the area surrounding it is clean and tidy. Laul's village benefited greatly through the installment of a Jesus Well, as this community has. As the well brought a better quality of life for the villagers, it also opened the door for new life in Jesus. The villagers, who had been resistant before, began to listen to Pastor Kirk. They happily took literature and called him for prayer. To this day the villagers in this community no longer suffer from the diseases that marred their society and ruined their ability to provide for their families. They now have safe water to drink, wash their clothes in and cook their food in. Laul's family began to warm up to Pastor Kirk too. Instead of shunning his words, they listened to him, and Laul himself asked for prayer. Pastor Kirk prayed earnestly for Laul and his family each week as he visited them. After a few weeks, the Lord healed Laul completely. 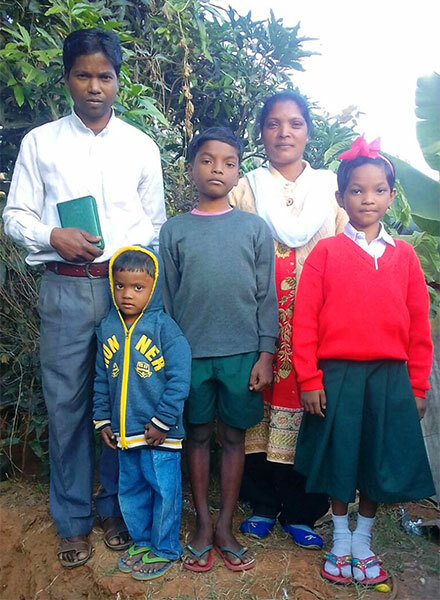 After this miracle, Laul and his family understood more fully the hope of Jesus, and now they join Pastor Kirk and his congregation to worship Jesus together. Because of this miracle and the impact of the Jesus Well, Laul's village is now not only healthier, but it is also open to hearing more about Jesus' sacrifice. There are still 663 million people who need access to pure water. Will you join us in providing Jesus Wells? The need for clean water in Asia is a desperate one. It is difficult to imagine the huge water crisis that many suffer on a daily basis, like Laul and the people of his village. By God's grace, in 2016, GFA was able to provide 6,822 Jesus Wells in Asian communities. But this is only a drop in the bucket compared to the vital need of today. Will you join us in bringing more clean water to those who are suffering in Asia? Will you bring a change that is vast and needed? Give pure water, and impact a village today! $1400 provides a well that gives clean water for an entire village to be saved from waterborne diseases and have clean water for years.